Work with warehouse fulfillment. 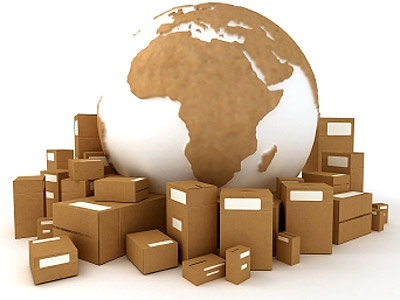 Working with one main distribution warehouse is the ideal shipping arrangement. But unfortunately, it’s the domain of the larger companies that have warehouses from which they supply their stores. Warehouse fulfillment is great for you because you can just send your pinups to one location where they’re sorted by store and delivered. Try drop shipping. Drop shipping is the most common method for delivering pinups. Most businesses don’t have a large warehouse from which they can fulfill orders. Instead, deliveries are made by UPS or FedEx directly from the manufacturer or distributor. You’ll do the same thing. You’ll bundle, label, and ship your pinups to each store. Some stores use a mailbag system to get smaller items and local mail to the stores, so you may be able to refill the stores with small quantities of pinups after the program gets started. Talk with your printer about shipping. Many printers have their own trucks that deliver. This may be a more affordable way to deliver pinups, especially for programs with stores clustered in a relatively small geographic area. Keep it simple and avoid kitting. Some retailers will inevitably ask you to send kits to each store. They may have seen them before as some charities still subscribe to this expensive and wasteful tactic. Each kit contains signage, buttons, donation cans, pinups, memos, and so on. Unfortunately, kitting gets costly! Besides, these things don’t do anything to make the program more successful. Educate your retailers on what really makes point-of-sale programs successful: Cashiers asking shoppers to support a great cause.